There isn’t much secret to writing beyond just doing it, but that doesn’t mean people can’t still get hung up on the little things. One of the problems I seem perennially to have is not having an ideal setup; that is, not having everything just exactly the way I would absolutely love it to be for me to compose what it is I’m writing. A program that includes an automatic first-line indent. A program that will spell-check in a way that doesn’t slow everything down. Something that allows the file to be portable – the ability to transfer off the machine I am writing to the web, where I can have my friend-editors look at it. Optional but appreciated: Browser-based so I can just log into it anywhere and access my stuff cloudishly. Something that doesn’t slow down to a latency-induced crawl when the size of the work approaches 10,000 words or greater. Nothing fulfills all of those mandates, but some programs fulfill many of them. I am currently on OmmWriter Dana II, which is the most pretentious program I have ever used to write anything, but I only use it to compose HTML because it can’t indent the first line automatically and thus every paragraph requires either hitting TAB or ENTER twice, and I refuse to have to do that. Google Docs is good but slow while handling high-length documents, plus everything you put on it is at risk of theft due to the cloud-only nature of the program. If you happen to be on a tablet or laptop composing on it and lose your internet connection – say, at a fancy café in Santiago de Cali – you will suddenly find yourself unable to get any work done at all. Word/LibreOffice (I know they aren’t the same thing, but…) have all of the formatting freedoms a man could want, but tend to crank out larger files than necessary, and in general seem to have too many features. Besides that, you need to back up things online with them to ensure you don’t lose anything precious in a hard drive mishap. 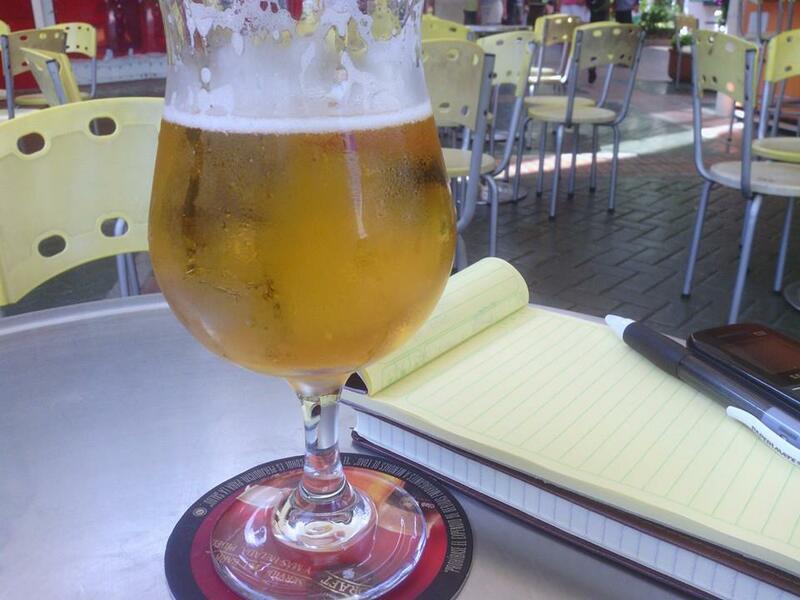 Cheap Colombian beer in an outdoor mall is truthfully the best writing environment I have ever fostered. The freedom to play some lyric-less music. A reliable internet connection if absolutely necessary. So today, a day where I haven’t got much going, I am writing this blog post and trying to get motivated to write something else. But you know, it sure would be nice if I had juuuuuuust the ideal setup. I think I’ll wait until I do. My perfect environment to write is when I should be doing something else, lol. When I should be writing. . . then I tend to procrastinate. You’re so right on there not being a perfect writing program out. Someone should get on that.